← Prayer is the great Release. Oftentimes a sales rep. does not see the essential link between serving the customer and making the sale. 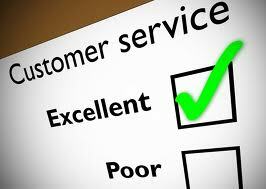 Customer service is a chain of activities or value provided to increase the level of customer satisfaction. Another way to define it is; actions taken that cause a customer to feel the product or service has met their expectations. Sometimes the brightest things come from the simplest people. I have been a student of the sales game for more years than I want to declare. I have sold many millions of dollars & taught others to do the same. Still, I am always looking for break through, sales strategies. 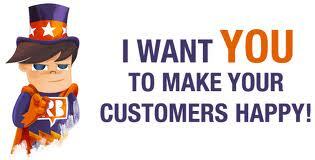 I have always believed that good customer service is critically linked to effective sales. I was shown the clearest example of this in a restaurant last year. There is not one single word in her phrase that is over 5 letters. Yet she conveyed the most powerful message that I could imagine about why that restaurant is likely to sell me more meals. Their mission is clear. Their mission is to please the customer. And their practice is plain, to enjoy doing what their customers want. This may sound simple but it is a breakthrough sales strategy. Suzy was the young ladies name. And she clearly demonstrated the truth that prevents so many people from achieving in sales. 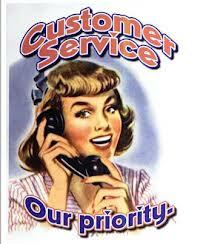 Customer service must be your highest priority and people can tell, whether you want to please them or not. We always want the result of more income from higher sales. But positive outcomes result from quality inflows. When a passionate pursuit of really wanting the customer to be happy, with their purchase from you is a standard. Then an atmosphere of satisfied customers will be your habit. And this will increase your referrals, your word of mouth advertising and give you more conviction; whenever you tell a customer that they will be glad, if they buy from you. You will know it’s true and believe it. Can you say about your selling practice that “We like it when you like it. That’s our goal.” If so, you will see sales results. If you let real value and quality flow into your approach; then higher sales achievements will flow out, as a result. So, let your goal be to serve your customers well and let them see that you do. They will be glad that you did and so will you! This entry was posted in Face Page, Sales & Sales Training and tagged advertising, business, Customer Service, effective sales, good customer service, honest appraisal, marketing, passionate pursuit, Presentation Skills, sales strategy, Selling, Service to others, Simplicity, Workplace. Bookmark the permalink.